and destruction of the city’s resources and green belts. Amra, Z. (1998) Al-Mar’a wa al-Thawra [The Woman and the Revolution] (Zerka: H. U. Press). Asfour, E. (2000) Sahar Khalifeh: A Step Forward (Baghdad: Nazik Press). Baudrillard, J. (1997) Simulacra and Simulation, trans. Sheila Faria Glaser (Michigan: The University of Michigan Press). College Literature, 22(1), pp. 147-161. Jarah, H. (1992) Thawrat al-Ardh [The Rebellion of the Land] (Cairo: Hassaneen Publications). Khalifeh, S. (1985) Ubbad ash-Shams [The Sunflower] (Amman: P.L.O. Press). Khashram, S. (1992) Ishkaliyat al-Shakl inda al-Saman wa Khalifeh [The Problems of Form in al-Saman’s and Khalifeh’s Writings] (Cairo: Hassan Reis Press). Lehan, R. (1998) The City in Literature: An Intellectual and Cultural History (Berkeley: University of California Press). Mahfooz, S. (2001) Al-Ihtilal wa al-E’itilal: Quira’at fi Kitabat Khalifeh [Occupation and Malaise: Readings in Khalifeh’s Writings] (Amman: Nancy and Nizar Press). Studies in the Contemporary Arabic Novel] (Beirut: Dar el-Noor lil-Nashr). Odeh, S. (1996) Kitabatu Khalifeh ba’da Oslo [Khalifeh’s Writings after Oslo] (Nablus: Al- Jaghbir lil-Tiba’a, 1996). Rifkin, J. (1989) Entropy: A New World View (New York: Bantam Books). Sakran, R. (1995) Tahlil al-khitab fi Kitabat al-Mar’a al-Filistiniyeh [Discourse Analysis in the Writings of Palestinian Women] (Cairo: Shalhoub Press). Eliot and Williams (Baltimore: The John Hopkins University press). Spengler, O. (1928) The Decline of the West, trans. Charles F. Atkinson (New York: Knopf). ISNAD Mansour, Wisam . "The Confiscated Dreams: Occupation and the City in Khalifeh’s Writings". 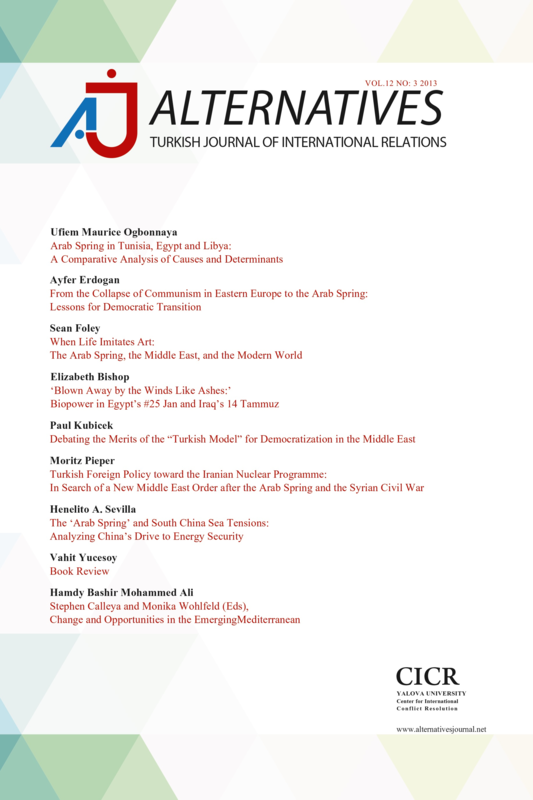 Alternatives: Turkish Journal of International Relations 6 / 3&4 (December 2007): 60-71.